The Jefferson School is a residential treatment center and special education school that provides therapeutic and educational services for day students ages 12-21 and residential students ages 12-21 with emotional and behavioral disabilities who need a specialized educational environment, complete with a therapeutic milieu and recreational and community based activities. Located fifteen minutes outside Frederick, MD, our program sits on a 30-acre campus that is fully accessible to both our day and residential students. We integrate both our residential and day students to create a collaborative learning environment that provides compassionate clinical, special education, and prevocational services. Upon enrollment, our team, including an educational case manager, will review the student’s Individualized Education Program (IEP), and modify our instructional areas to fit the student’s needs to ensure maximum growth. Our students thoroughly enjoy engaging in all of the unique outdoor and extra-curricular activities we are able to provide right on our property. Our beautiful, lush campus includes a baseball, softball and soccer field, a barn and rink for the Equine-Assisted Therapy Program. The remaining wooded property also features a full-size gymnasium, library/media center, wood shop, greenhouse, visual arts classroom, as well as an adventure course and hiking trails. We also provide our students with a fully equipped occupational therapy clinic that provides traditional occupational therapy services, as well sensory integration approaches. Utilizing a student-centric, team-based approach, we implement the Maryland State College Career and Readiness Curriculum in conjunction with Frederick County Public Schools Curriculum, in addition to providing psychological assessment and counseling to help our students’ transition into the community and lead successful lives. Our highly qualified, certified teachers and therapists implement L.I.F.E (learning for independence, functionality and employability), and offer our students a number of areas of study, including, business, carpentry, and horticulture. As an outcome-oriented school, our treatment focuses heavily on Dialectical Behavior Therapy (DBT) both in the classroom and in residential settings, as a way to teach our students effective and healthy behavior management skills. Our dedicated staff works hard to meet the needs of each of our students and residents, and for students requiring more medical attention, we offer full-time nursing care, and access to an experienced psychiatrist for medication management and psychiatric crisis management needs. As teachers, we understand the importance of keeping parents engaged in their child or adolescent’s education, and understand that for many who do not live close to our location or who work full time, day-time events may be challenging. With this in mind, we offer evening events and activities throughout the year, including a “meet with teacher’s event”. Our educational case managers also communicate regularly with parents, providing progress updates as to each student’s growth. We also share quarterly letters, report cards and a daily point sheet (for day students). Because we are part of Sheppard Pratt Health System, our staff has access to the best training, treatment practices, and current technology; this allows us to provide your child with the best education to meet his or her needs. In addition, we actively collaborate with other Health System schools and professionals to ensure that we are sharing experiences, lessons, and best practices across the various special education programs. Treatment focuses heavily on Dialectical Behavior Therapy (DBT). 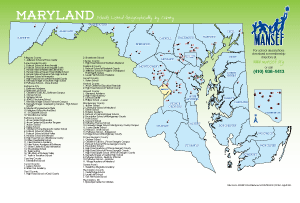 Our school, categorized as Type I, is approved by the Maryland State Department of Education (MSDE). The Jefferson School’s Residential Treatment Center (RTC) is a 53-bed licensed treatment center for males and females ages 12 to 21 with severe emotional and behavioral problems, who are unable to live safely in the community. The average length of stay at The Jefferson RTC is 11 months, with the goal of moving the adolescent back into the community as soon as they are ready. Residents are referred to The Jefferson RTC by Department of Social Services, Department of Juvenile Services, a referring psychiatrist, the local Core Service Agency, or by their families. Residents attend the day school, as well as participate in the community through the many student events and recreational opportunities.